Prime Minister Datuk Seri Najib Razak Thursday announced the implementation of the First Home Financing Scheme (MyDeposit) as tabled in the 2016 Budget. He said the scheme was implemented to help the middle 40 per cent income bracket (M40) with household incomes of between RM3,000 and RM10,000. “(This scheme involves) a contribution of 10 per cent of the sales price or a maximum of RM30,000, whichever is lower, to first-time house buyers to help them buy a house costing less than RM500,000,” he said after the National Housing Council’s (NHC) meeting here, Wednesday. The prime minister said the applicants could make their applications to the scheme online from Thursday through the website of the National Housing Department, Ministry of Urban Wellbeing, Housing and Local Government. 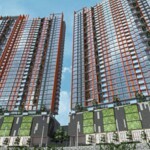 Urban Wellbeing, Housing and Local Government Minister Datuk Abdul Rahman Dahlan said MyDeposit was open to all types of houses from all registered developers except Perbadanan PR1MA Malaysia. 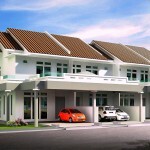 The scheme, he said was not limited to new house purchases but also secondary house purchases. At the same event, Najib also announced the implementation of the sale of houses costing up to RM300,000 to first-time house buyers, as announced in the 2016 Budget Recalibration, this month. 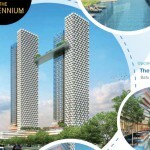 In order to encourage private developers to build houses costing below RM300,000, Najib said the ministry offered several incentives to developers, including the retention of deposit of RM200,000 from three per cent of the estimated cost at present. 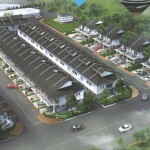 For mixed development, the prime minister said the deposit was based on the remaining construction of houses priced more than RM300,000. 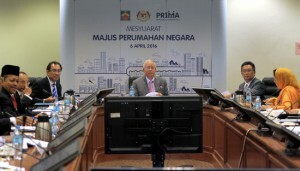 On the implementation of one million affordable houses by 2018, Najib said until Dec 31, 2015, a total of 183,755 units were completed, 214,011 units were under construction and 309,571 units at various stages of planning. He also announced the construction of over 50,000 affordable houses through integrated efforts according to zones, starting with the central zone at the Malaysia Agro Exposition Park, Serdang in July 2016. How to apply and where to apply?? i am about to buy a property below 500k, should i wait for this?? You definitely should, if you meet the criteria for being first time home buyer with total household income between 3k – 10k. do note…. budget is only 200 million. So if everybody claim 30k, there will only be 6666 recipients……… of which how many follows quota system i don’t know. your estimation is wrong. u expect everyone to buy 500k house ? Please be reminded if they just allocate RM200Million/30k-20k then the estimation of ppl can get the scheme MyDeposit will be only around 6,666 – 10,000 people. After the goverment servant sapu 50% of the quota then left 50 around 3,333- 5,000 people only can get. Sounds very good of goverment but actually not so good at all. 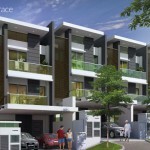 Hi, I may have a question here as I myself fit all the category to apply for MyDeposit but I’ve just recently purchased my house which was under Penang affordable house and S&P signed + loan granted by the bank. Does that make me eligible to try and apply for this? Hoping for response to better equip myself and other of my friends too. Thanks!